Published by the Harvard University Press. Just as individuals use only part of their brainpower to solve most problems, governing institutions make far too little use of the skills and experience of those inside and outside of government with scientific credentials, practical skills, and ground-level street smarts. New tools—what Beth Simone Noveck calls technologies of expertise—are making it possible to match the supply of citizen expertise to the demand for it in government. Smart Citizens, Smarter State suggests that public decision-making could be more effective and legitimate if our institutions knew how to use technology to leverage citizens’ expertise. Government “of the people, by the people, for the people” expresses an ideal that resonates in all democracies. Yet poll after poll reveals deep distrust of institutions that seem to have left “the people” out of the equation. Government bureaucracies that are supposed to solve critical problems on their own are a troublesome outgrowth of the professionalization of public life in the industrial age. They are especially ill-suited to confronting today’s complex challenges. Offering a far-reaching program for innovation, Smart Citizens, Smarter State suggests that public decision-making could be more effective and legitimate if our institutions knew how to use technology to leverage citizens’ expertise. Drawing on a wide range of disciplines and practical examples from her work as an adviser to governments on innovation, Noveck explores how to create more open and collaborative institutions. She puts forward a profound new vision for participatory democracy rooted not in the paltry act of occasional voting or the serendipity of crowdsourcing, but in people’s knowledge and know-how. Smart Citizens, Smarter State is a manifesto for a new way of governing. Digital technologies, Beth Noveck argues, create abundant opportunities for governments to learn from their citizens and provide better services. 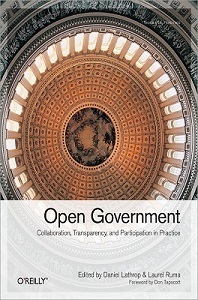 Written with optimism and passion, this book brings the open source revolution to public administration. –Jack M. Balkin, Knight Professor of Constitutional Law and the First Amendment, Yale Law School. Smarter Citizens, Smarter State is a valuable contribution to a debate that will continue as technology plays an increasing role in almost every aspect our lives. A ringing call to arms for anyone who believes that government is busted and citizens could do more than anyone else to fix it. Following in the footsteps of John Dewey, Noveck explores the fundamental changes needed to bring to bear the vast resource of citizen expertise and ability in a time of rising demands and dwindling resources. The book summons smart citizens everywhere to action, be they makers, hackers, data analysts, or everyday experts. It also challenges members of the existing elite, daring them to imagine a more populist—and smarter—future. New peer-to-peer technology platforms have radically democratized how information spreads, how capital flows, and even how cabs get hailed in the twenty-first century. But our government itself remains a largely closed system, with relatively few opportunities for public engagement and collaboration. In this book, Beth Simone Noveck lays out a fresh and ambitious vision for a more democratized democracy, one in which our government takes full advantage of the Networked Age and the vast resources of its citizenry. Highly recommended! Crowd-sourcing works wonderfully in creating open-source software and online encyclopedias. Can it work in governance? Beth Noveck, who has spent years creating means of engaging citizens on the Internet, argues it can, if done wisely. This book—informed by experience, breathless energy, optimism, encyclopedic knowledge, and an extraordinary intellect—should be required reading for all who are interested in the question. The endless debate that assumes ‘expertise’ and ‘democracy’ to be in conflict is here unpacked—and then carefully, intelligently reassembled from the perspective of new tools such as digital data and new ideas, including crowd-sourcing distributed expertise. The result? A false choice is demolished, replaced by a commonsense strategy that welcomes expertise without diminishing democracy’s robustness. As government agencies review how to solicit and shape public knowledge, they must also rethink what, exactly, sets the credentialed experts apart. Noveck identifies substantial potential for change in this area and encourages public thinkers and officials to be more nimble, efficient, and inclusive in their views of what constitutes knowledge. If we are serious about building a genuinely democratic community of knowledge-makers, we ought to take her recommendations to heart. Though they come from radically opposed positions, Smart Citizens by Beth Simone Noveck and Exposed by Bernard Harcourt shed much light on the balance of state, market and social power in the network age. As an academic who was an early member of Obama’s 2008 back-room staff, Noveck has a sharp take on the current sclerosis of policy-making. You couldn’t imagine two responses to a smarter state more at odds conceptually. Yet each is plausible in its way. Together, they leave us smarter and sharper about being a digital citizen. Beth’s book, and the work it reflects from The GovLab in New York, is some the best thinking I’ve seen about not just new practices for more effective governance and better quality public work but about the requisite shift of culture and mindset without which many of these promising “lines of inquiry” for impact and results will go begging. 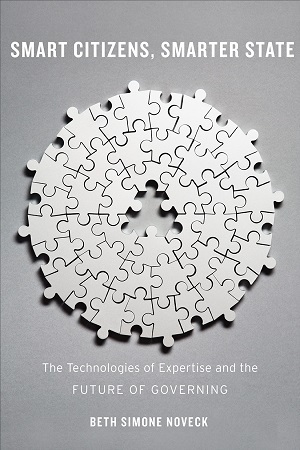 The Technologies of Expertise and the Future of Governing, Noveck says that while government today gets expertise from many sources, “it is often difficult to find the right expertise quickly enough and early enough”. The book promotes a re-appreciation of the role of the citizen, reintroducing the humanist ideal of the French and American revolutionary ideologies of the late eighteenth century. And this is done from a suitably updated position, from the idea that we should govern not just “for” the citizens, but rather “with” the citizens. However, far from presenting a romantic justification, the truth is that there is a purely pragmatic underlying view: who better than the citizen himself to complete, promote and enhance government action? Is not he the receiver/ultimate consumer of public services? And, moreover, what motivation could maintain the existence of expert knowledge solely in the hands of a few? Smart Citizens, Smarter State to the new generation of scientists emerging at the interface of computing and public policy. Those with technology and ‘hard’ sciences backgrounds would hugely benefit from a comprehensive understanding of government and policy domains in order to set new research agendas with significant potential for wider impact. 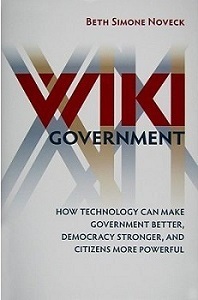 At the other end of the spectrum, those with politics and social science backgrounds would find it very helpful for understanding the current technologies of expertise and the new trends in public decision-making, offering great promise for transforming the ways that governments should operate under the ongoing data revolution. 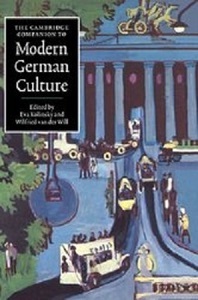 Noveck’s treatment of her subject is nuanced, grounded in historical analysis, practical experience in government, multiple disciplines and a close reading of democratic and institutional theory….Everyone interested in the intersection of social networking, government bureaucracies, and public problem solving…will benefit from the spotlight she shines on this emerging area of governance theory and practice. – Scott A. Fritzen, Associate Professor, Daniel J. Evans School of Public Policy and Governance, University of Washington. The strongest characteristic of Smart Citizens, Smarter State is its intellectually modest approach: It builds on existing programs, can be scaled up quickly or slowly, and is predicated on experimentation rather than centralized decision-making. That makes it a great reform agenda for those who have been burned by sweeping overhauls and grandiose promises before. So, though separated by 180 years, both Noveck and de Tocqueville see practical citizen involvement as an essential element to effective democratic government. In her book, Noveck decries the alienation that citizens feel toward government – and the need to re-engage them if we are to restore trust in democratic governance. She says the tech tools exist to make it possible to re-engage, to co-create, to restore the vibrancy that de Tocqueville saw when he toured American long ago. She offers both a vision, and a path for achieving it in her book and via efforts at the Governance Lab. Beth Simone Noveck directs the Governance Lab (GovLab) and its MacArthur Research Network on Opening Governance. She is a Professor in Technology, Culture, and Society and affiliated faculty at the Center for Urban Science and Progress at New York University’s Tandon School of Engineering and a Fellow at NYU’s Institute for Public Knowledge. New Jersey governor Phil Murphy appointed her as the state’s first Chief Innovation Officer in 2018. She is also Visiting Senior Faculty Fellow at the John J. Heldrich Center for Workforce Development at Rutgers University. Previously, Beth served in the White House as the first United States Deputy Chief Technology Officer and director of the White House Open Government Initiative under President Obama. UK Prime Minister David Cameron appointed her senior advisor for Open Government. At the GovLab, she directs better governance programs, including work with public institutions on public engagement in lawmaking (CrowdLaw), expert-sourcing innovative solutions to hard problems (Smarter Crowdsourcing), co-creation between cities and citizens (City Challenges). She also coaches “public entrepreneurs.” working with passionate individuals to take their public interest projects from idea to implementation. A graduate of Harvard University and Yale Law School, she is a member of the Scholars Council of the Library of Congress, the Center for Open Science, Open Contracting Partnership and the EPSRC Centre for the Mathematics of Precision Healthcare. Beth also serves on the International Advisory Board of the NHS Digital Academy and the Yankelovich Democracy Monitor as well as a member of the Inter-American Development BankPresident’s Commission on Transparency and Corruption and the Global Future Council on Technology, Values and Policy for the World Economic Forum. She is a member of the Steering Committee for the Collective Intelligence Conferences and GIGAPP (Grupo de Investigación en Gobierno, Administracion y Politicas Publicas). She is co-editor of the Association for Computing Machinery’s Digital Government Research and Practice journal. In 2018, Beth was awarded a Robert Schumann Fellowship at the European University Institute and a Richard von Weizsaecker Fellowship by the Robert Bosch Foundation. Beth was named one of the “World’s 100 Most Influential People in Digital Government 2018” by Apolitical. 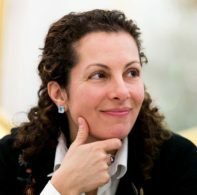 Previously, she was selected as one of the “Foreign Policy 100″ by Foreign Policy as well as one of the “100 Most Creative People in Business” by Fast Company and “Top Women in Technology” by Huffington Post. 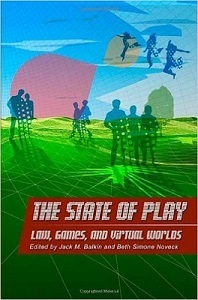 Beth is the author of Smart Citizens, Smarter State: The Technologies of Expertise and the Future of Governing (Harvard Univ Press 2015) and Wiki Government: How Technology Can Make Government Better, Democracy Stronger and Citizens More Powerful (Brookings 2009) and co-editor of The State of Play: Law, Games and Virtual Worlds (NYU Press, 2005). Her next book, Public Entrepreneurship: Training the Next Generation of Public Leader and Problem Solver, will appear with Yale Press. Her TED talk is here. She tweets @bethnoveck. Another NHS Crisis Looms- An Inability to Analyse Data (The Guardian, 2017): An Op-ed in The Guardian by Beth Noveck. Could Crowdsourcing Expertise be the Future of Government? (The Guardian, 2016): An Op-ed in The Guardian by Beth Noveck. How Technology is Crowd-Sourcing the Fight Against Hunger (Media Planet, 2016): Beth Simone Noveck’s article in Media Planet USA. Encouraging and Sustaining Innovation in Government (Partnership for Public Service, IBM, 2016): Beth Noveck and Stefaan Verhulst’s Report on Technology and Innovation in the next administration. The Rise of the Citizen Expert (Policy Network, 2016): Beth Simone Noveck’s article on citizen expertise in Policy Network. Swipe right to fix the world: can Tinder-like tech match solutions to problems? (The Guardian, 2016): An Op-ed in The Guardian by Beth Noveck. The Innovation the Grantmaking Process Needs(Governing, 2016): Beth Noveck and Andrew Young on Open Grantmaking. There is no bigger opportunity today than enabling our governing organizations to find and implement the most effective solutions to our problems. … ask questions about our public challenges to the most creative & knowledgeable people across sectors. Giving people opportunities to share their knowledge could save time, financial resources, and perhaps, even lives. Over the last decade social technologies have made it possible to identify who knows what and match them with opportunities to serve. New tools such as expert discovery and networking platforms help to answer the question: Who knows what? The GovLab is researching existing tools and designing new ones to make expertise searchable. 3) Whether identifying internal and external expertise makes institutions more effective at solving problems. It is not an exaggeration to say that today’s information laws at the federal level in the United States, especially the Federal Advisory Committee Act and the Paperwork Reduction Act, impede robust citizen engagement. We are working to craft law and policy to support smarter governance in collaboration with Yale Law School. The GovLab’s Smarter Governance Living Labs are a collection of projects on how institutions can tap the intelligence of a distributed network to improve decision-making. Our goal is to develop an understanding of whether and how targeting participation based on skills, experience and expertise (crowdsourcing wisely) might lead to more effective outcomes than broad citizen engagement (crowdsourcing widely). Can we match demand to supply? Does targeting expertise improve outcomes?